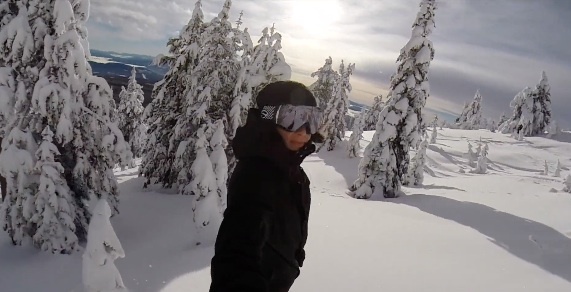 Okanagan BC’s Baldy Mountain Resort is a powder paradise for snowboarders! While other resorts will have lift queues stretching back for miles and are tracked out by 9am, we stay strong throughout the day with little to no wait times. You’ll never get bored finding fresh lines down our chutes or through the glades for days after a dump. 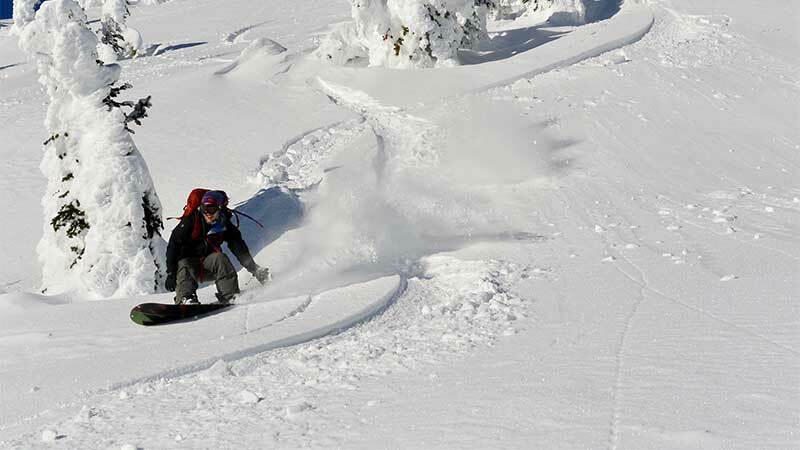 Visit Baldy Mt in the Okanagan for a BC powder adventure like no other! Looking for fresh powder at 3pm? It’s out there. Just another reason to love Baldy Mountain Resort. With over 25 feet of dry interior powder per year, groomed corduroy cruisers, brand new gladed areas, iconic snow ghosts and secret powder stashes, you’ll be carving out fresh trails and lapping lifts all day. There are two rideable peaks at Baldy Mt; the larger contains our pow stashes, and the smaller is home to our Cascade Snow Park where you will find rails and jumps for different ability levels. Start on the big mountain in the morning for some breathtaking views and pow runs and then head over to the park in the afternoon and work on that new trick. Whatever your riding style, Baldy Mt has something for you. Experience the good times and high alpine snow. Want to bring the crew? Check out the accommodations page for house rental options on the mountain or ski and stay packages providing accommodations in the nearby towns. Never ridden before? No worries. Rent some gear from our rental stores and take a lesson at our Snow School with one of our Snow Pros. You’ll start on the magic carpet and, once you get the hang of it, you can move on to exploring the mountain. 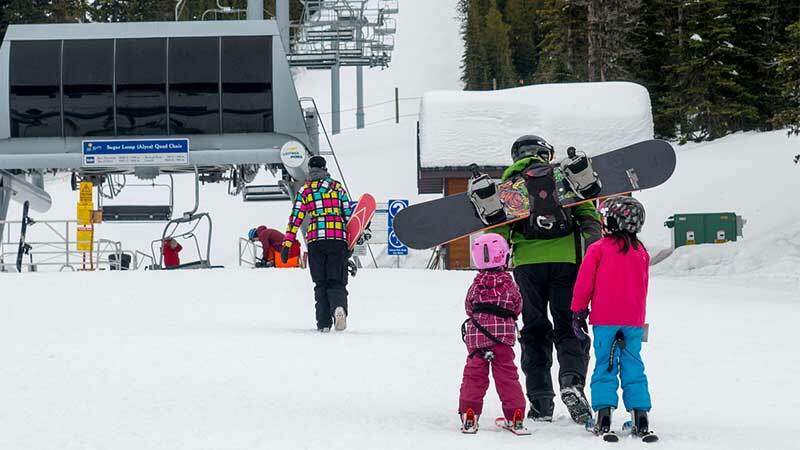 At Baldy Mountain Resort, we want the whole family to experience the fun, so we offer a variety of lessons for youth, children, and adults alike. Most of our terrain is suitable for beginner and intermediate snowboarders, so you can ride with the family. All our trails return to the lodge, making it easy to stay in touch with one another. At the end of the day, relax at our Baldy Bar. If you’d like to experience other winter activities, we also offer lessons, snowshoeing and cross country skiing experiences, and weekly Tobogganing Parties that are always popular with the kids!